iMessage refers to the built-in instant messaging service of Apple which helps in sending picture, text, sound, video as well as location to other iMessage users on their Apple watch, Mac, iPad and iPod. Significant updates have also been added by Apple developers in the latest iOS 11 version of their operating system allowing users to engage in iMessage games. Today we are going to discuss in details about the iMessage games to play and tips of doing the same. 1) Firstly, you will have to open the message application and either create a new thread or enter a previously created one. 2) Next you will be required to tap on the “>” icon. 3) In the next step, you will have to click on the square dot icon followed by the Store icon. 4) Now you will be able to download games such as Truth Truth Lie, Polaroid Swing, GamePigeon, Trivia Crack, Words with Friends as well as compatible stickers and apps like Circle Pay and OpenTable – Restaurant Reservations. 5) For playing the iphone iMessage games, you will be required to search for your desired game and tap on Create Game. Once your turn is over, a message will be sent to your friends asking them to take their shot. 6) While engaging in games via iMessage, you can send game-specific messages to your contacts on completing turns. 7) On receiving a gameplay message, the user can tap on the same for opening the game’s interface and taking their turn. 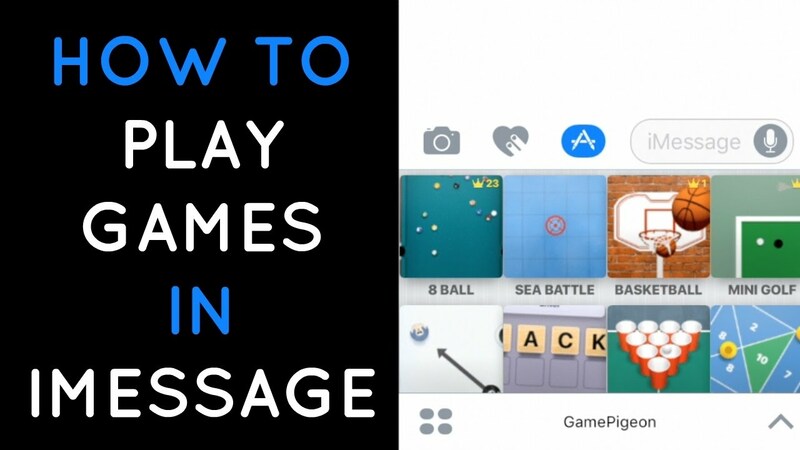 NOTE: It also becomes possible for users to complete entire games without having to leave the iMessage app while they keep on chatting normally with their contacts in between turns. Users can even engage in multiple active games while carrying out a single conversation. Also Read: How to Recover Deleted iMessages? 1) First a Java SE Development Kit will have to be installed in your Mac for providing Terminal rights to your server by tweaking your System preference. 2) Next you will be required to download weServer. 3) On opening the ZIP file, you will come across the “run.command” file and you will have to double click on the same for launching weServer. 4) You will next be asked for your iMessage email wherein you will have to provide the mail id linked to your official iMessage account. However, for security purposes, it is advisable to pick a new password. 5) Finally, you will be able to install weMessage in your Android device and sync all your contacts for starting with its text functionality immediately. Therefore, with the help of the above steps, you can easily play iMessage games without having any hurdle on iOS and Android. Please comment in the below section if you any problems.